We’ve talked about how to find the perfect mattress firmness rating for your sleeping position. 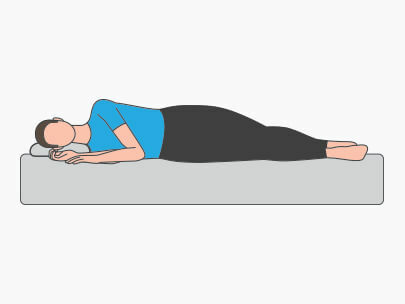 But did you know your sleeping position is also linked to your pillow? Your mattress is vital to promoting healthy spinal alignment, and your posture is one of the biggest factors affecting your choice of pillow. This is because you need different levels of support depending on whether you’re a front, side or back sleeper to make sure your spine is correctly aligned to avoid exacerbating back problems. 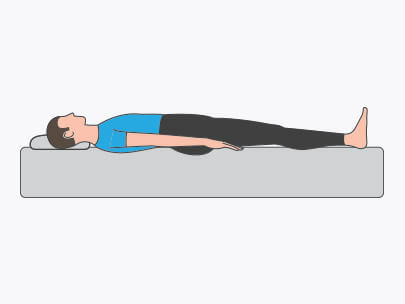 Remember: this guide is purely advisory – the best comfort test for any pillow is to try it out and sleep on it. 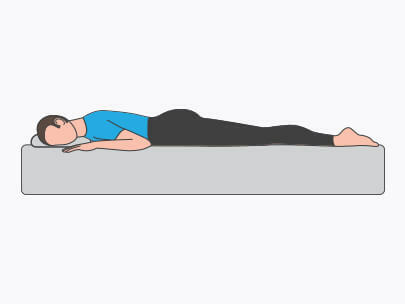 Side sleepers usually need a pillow that’s thick, offering extra support to the head and neck to allow your spine to align in a natural and healthy way. If you sleep on your back, it’s important for your head to be slightly raised in order to support the natural alignment of your spine. That’s why we suggest a medium or firm pillow that provides the perfect level of support for your head, neck and shoulders. We recommend that front sleepers opt for a softer pillow. This is because you need to allow your head and neck to sink into the mattress and avoid awkwardly straining through the night. As with mattresses, pillows can also come with bespoke comfort fillings that improve your quality of sleep. At Silentnight we offer a range of fillings to suit different types of sleepers and sleeping habits. Find your perfect pillow filling below. 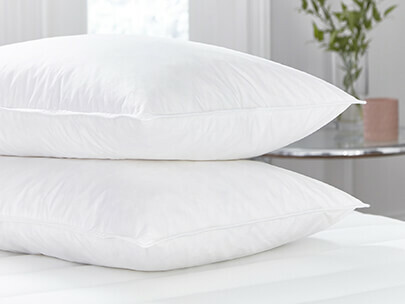 The majority of our pillows are hypoallergenic. This helps to combat one of the most common causes of allergic reactions: dust mites - which are found predominantly in your bedding and pillows. If you’re asthmatic, struggle with breathing through the night or suffer allergic reactions, then a hypoallergenic pillow might help alleviate these problems. 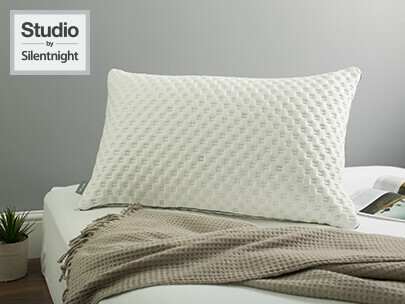 The innovative Studio by Silentnight pillow allows you to mix and match three removable pillow pads to help you find the perfect height and comfort. There are 7 different combinations available to suit all sleeping styles. By mixing and matching you can create one of three different firmness ratings - soft, medium and firm. So whether you’re a back, side or front sleeper, the Studio by Silentnight will suit your preferred sleeping position. 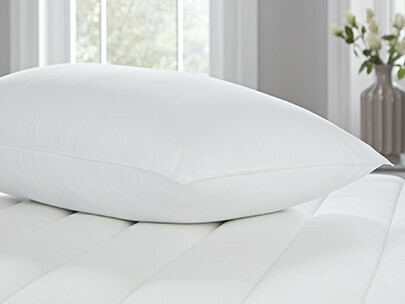 Generously filled with high quality duck feather, offering superb support and sumptuous comfort and softness. 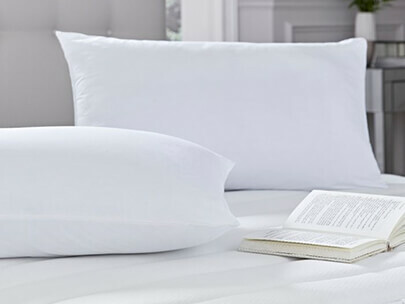 Premium-quality, 100% cotton with a high thread count makes for a smooth and silky texture, while ensuring that feathers stay firmly in-place - ideal for side sleepers. Our patented Geltex comfort filling can be found in both mattresses and pillows. The pillow offers bespoke pressure relief and more breathability for a cooler sleeping experience - much like our Geltex mattresses. 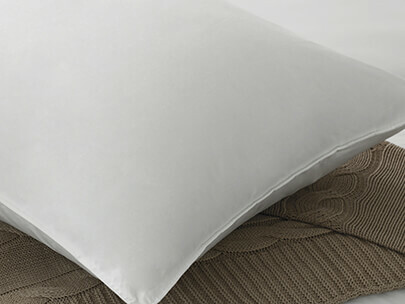 Our luxurious goose feather pillow is lightweight and provides a softer firmness rating. It’s ideal for front sleepers, and you’ll enjoy superior comfort from a 100% pure cotton cover. 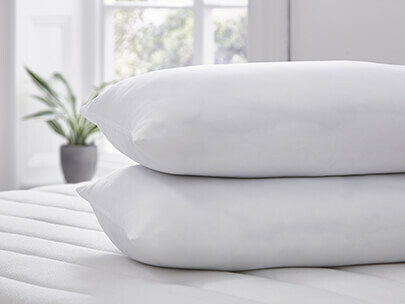 Perfect for side or back sleepers, the Silentnight reflex latex pillow provides tailored pressure relief from a responsive surface that offers extra-spring for stronger support. It’s temperature regulating with a 100% cotton cover and vented latex inner meshing that allows for greater airflow for a cooler sleep. 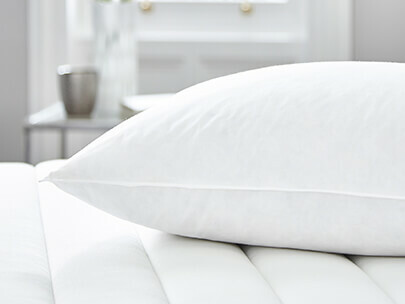 The durable Silentnight Egyptian cotton pillows comes with a 100% cotton cover, premium 230 thread count and double-stitched piped edge finish, so you’ll enjoy years of sumptuous comfort. 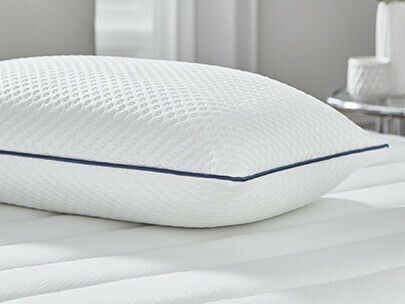 A plump pillow that encases individual pocket springs to maintain its shape and prevent it from sinking-in and distorting over time. With a medium comfort rating, it’s best suited to side and back sleepers.